Get up to 7 free auto shipping quotes from the largest, most trusted Rhode Island auto transport companies and save up to 50% on your car shipping rates at CarMoves.com. Car shipping companies in Rhode Island compete for your business, which is how you can save hundreds, if not thousands of dollars on car transport services by shopping with us. Whether you're shipping a car to Rhode Island, across the country, or even overseas, we can help you get the best price on your shipment - guaranteed! Read more about the following auto transport companies in Rhode Island before getting a quote. Click on the name of the company to read a full review. 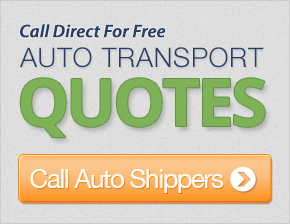 Get a free auto transport quote today to find out how much it costs to ship a car to or from Rhode Island! Without a doubt, Rhode Island is small, even smaller than the island chain of Hawaii. Thus, it's hard to imagine how densely populated this state is, which sits on the southern end of New England south of Massachusetts and east of Connecticut. The greatest concentration of people in the state is on its eastern side, emanating from around the Providence metropolitan area - the state's capital and largest city. On the other hand, a significant portion of the state's area is covered by water, leading it to be known as the "Ocean State." Numerous bays, rivers, and inlets seep into the state's territory, and Rhode Island never actually reaches 900 feet above sea level at any point. Rhode Island has quite the interesting history dating back to the early 17th century. Providence, for instance, was founded originally as a refuge for Roger Williams, whose religious beliefs conflicted with those of the people of Massachusetts. Soon after, the city became the home for a variety of religious castaways, and established one of the country's earliest forms of freedom of religion. Rhode Island also seems to be the champion of freedom in its earliest days, being the first state to renounce all political ties with Britain. However, the state was also a major center for the slave trade in post Revolutionary War America. Modern Rhode Island, of course, is a very liberal state with a fair amount of personal freedom - not even outlawing prostitution until 2009. Like many of the US states in the Northeast, Rhode Island's food culture frequently celebrates seafood. The quahog is a particularly large clam that is often used in various dishes, and Manhattan clam chowder, a tomato based chowder, actually originated in Rhode Island. Also comparable to much of New England, Dunkin' Donuts has a major presence in the state, with over 225 locations, and the official state drink is a concoction of milk and coffee syrup. The drink is so commonplace that it is even consumed by children in schools. Besides its reputation for food, Rhode Island life and culture is often depicted in the television show, Family Guy, set in the fictional town of Quahog. CarMoves.com works with car shipping companies throughout the state of Rhode Island. We can help you get the best prices on car transport services to the following cities in Rhode Island: Providence, Warwick, Cranston, Pawtucket, East Providence, Woonsocket, North Providence, West Warwick and many more. If you don't see your city listed, don't worry - we can get your vehicle shipped anywhere in Rhode Island. Scroll to the quote section on this page to compare free auto shipping quotes from up to 7 Rhode Island auto transport companies and save up to 50% on your move! 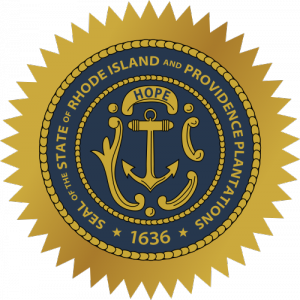 View the Rhode Island Department of Transportation website for more information.